Our Columbia River Sweets are delicious any way you slice them. They are “certified sweet” by the National Onion Labs extensive certification program. When bitten into, they deliver a burst of sugary sweetness to tempt even the most discriminating palate. 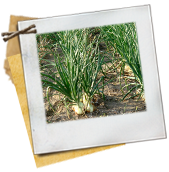 They are an incredibly mild onion with an almost fruity finish, perfect on burgers, in salads or to just eat plain! What makes Columbia Rivers So Sweet? Sweet onions are uniquely sweet because they contain much higher sugar content and fewer sulfur-containing compounds than regular onions. Sweets also have a much higher water content than most other onions. It’s this combination that gives our Columbia River Sweet Onion its “certified sweet” and “certified super sweet” taste. What do I Need to Know About Sweets? Because sweets have higher water and sugar content, they have a shorter storage life than traditional onions. Sweets will keep for 4-6 weeks in a cool, dry pantry.